With the conclusion of winter fraternity recruitment last week, the fraternities that participated in this rush have begun to integrate their new members and settle back into regular activities with completed new member classes. Interfraternity Council recruitment chair Robert Stackhouse ’18 wrote in an email statement that four houses held winter rush and a total of 16 bids were extended. This past fall, 341 bids were extended and last winter rush after Beta Alpha Omega fraternity’s suspension was lifted, 49 bids were given out. Two men were offered bids at Alpha Chi Alpha fraternity, four at Sigma Phi Epsilon, one at Sigma Nu fraternity and nine at Zeta Psi fraternity, according to Stackhouse. Brian Joyce, director of the Office of Greek Life, confirmed these numbers. Last winter, Alpha Chi extended three bids, Beta extended 33, Kappa Kappa Kappa fraternity extended six, Sig Nu extended three and Zete extended four. Fewer men partake in winter rush than fall rush, and not all fraternities participate in the winter recruitment process. This year’s winter rush process operated similarly to that of years past and those in the fall. 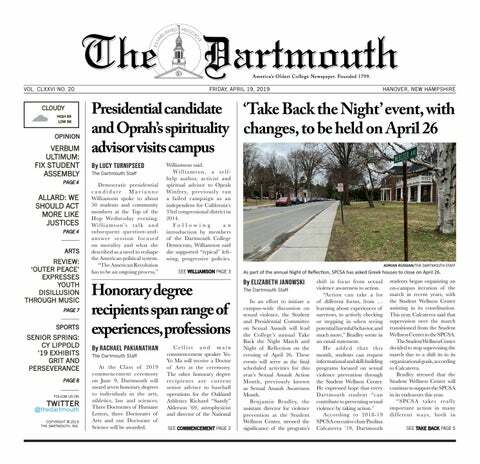 The procedures are comprised of two nights of open events in the fraternities and ends with a “shakeout,” where potential members can express their interest in a particular fraternity. Alpha Chi rush chair Nico Turk ’19 said that this year’s recruitment used the same process as in the fall and did not change much from previous years. Jamir Pleitez ’19, Sig Ep’s rush chair, said that the only difference in their rush process from this fall was that Sig Ep did not hold any big rush events because fewer men participate. Pleitez added that this year’s winter rush class deviated from last year’s, when they did not extend bids to any new members. Pleitez, like Turk, agreed that winter rush presents an opportunity to join Greek life for students who were off campus in the fall and offers a second chance for people whose fall rush did not go the way they wanted. After going through the rush process, Zhang is glad he joined the Greek system as he believes it connects him with even more people on the Dartmouth campus, even those in other Greek houses. “I feel Dartmouth is very special because we have a very open Greek system, so even though you decide to rush one place over the other, you can still have friends in the other houses,” Zhang said.